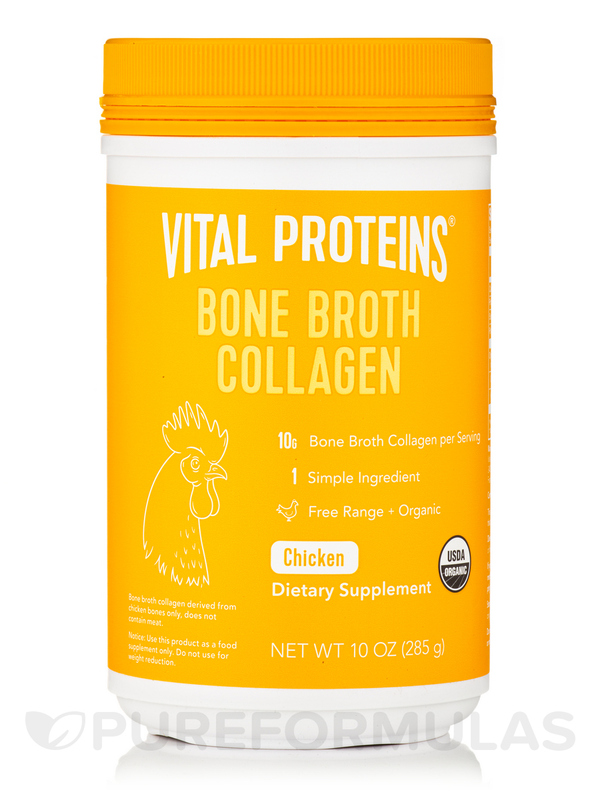 This USDA organic chicken bone broth is crafted with bones from free-range chickens and is simmered slowly to extract maximum nutrients. - Supports joint and ligament health. - Promotes healthy immune and digestive systems. - Dissolves and absorbs quickly. Ingredients: Organic chicken bone broth powder. USDA Organic / Dairy-Free / Gluten-Free / Paleo-Free.